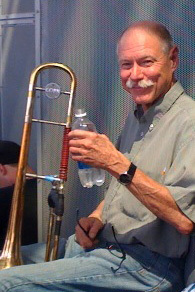 Gordon Sweeney was Principal trombone with the Toronto Symphony Orchestra for 32 years. Prior to arriving in Canada, he played principal with the Dallas Symphony Orchestra, and was a member of the New Orleans Philharmonic. Gordon was born in Houston, Texas, and raised in a farm community just outside the city. He studied with the principal trombone of the Houston Symphony Orchestra while in high school, and after graduating he was accepted to the Curtis Institute of Music. In addition to his membership with symphony orchestras, Gordon has performed with the Santa Fe Opera Company, instructed the summer programs for trombone with the Banff School of Fine Arts, and taught and performed at Summit Brass.